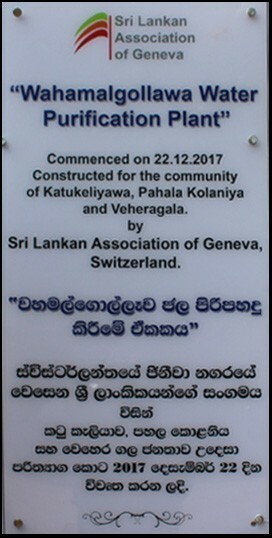 Wahamalgollawa is a rural village in the Anuradhapura District. The village has about 700 people (a community of around 180 families). A major problem faced by the people is the lack of suitable drinking water due to heavy contamination of water sources with agrochemicals. Chronic Kidney Disease (CKDu) is a major problem with over 20 deaths and 40 persons having kidney disease in the area. 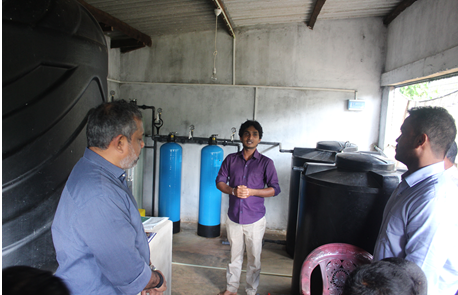 The water purification unit began work on 29th October 2017 and was officially inaugurated on the 22nd December 2017. 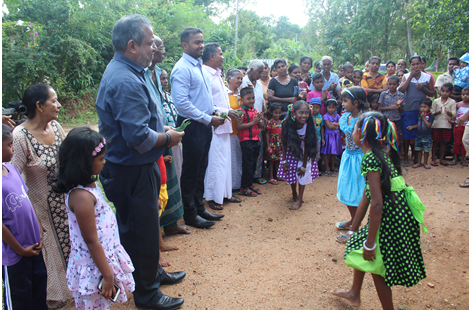 Ashok and Lalantha, representing the SLAG, were warmly greeted by the local people and were shown around the deep well and the water purification unit. About 2000 litres of chemical-free, purified water is now distributed on a daily basis to the entire village and adjoining areas. 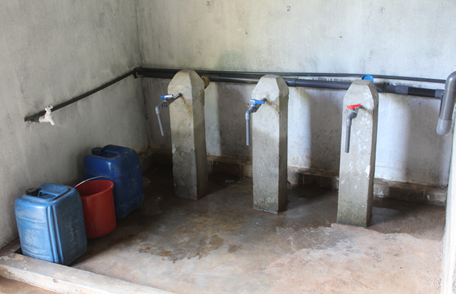 SLAG worked closely with a local civil society organization (Eksith Praja Mandalaya Wahamalgollawa) in installing this new water purification unit in the village. A local family donated part of their land to house this unit. 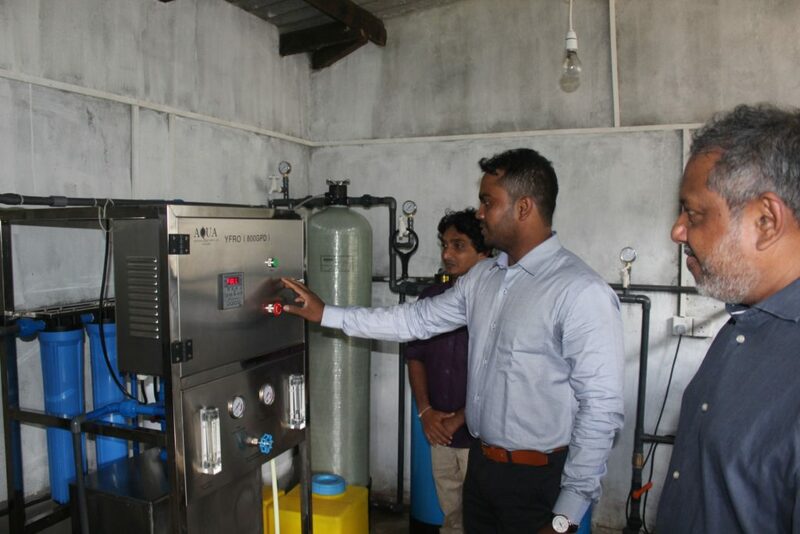 President Lalantha Sirisenage inaugurates the water purification plant. Mr. Sudesh Sanjeewa, President, Eksath Praja Manadalaya, Wahamalgollawa, thanks SLAG for their support. The water purification machines and water collection tanks are in the background. A section of the villagers who came to greet us.